This may not be the time to plant a rose, but as a long rose season concludes its spring flush, it is an ideal moment to study the varieties around town, then consider which ones you like and what they might do for your garden. How such hardy plants spawned the modern rose care industry will one day make a fabulous subject for a business writer. A 2004 Home cover story titled “Rethinking the Rose” challenged the idea that roses need pampering, if stumping their branches in winter, drenching their roots in summer, dusting the foliage with fungicides and filling their arteries with systemic pesticides can be called pampering. What is worth picking up on here and now is that few notionally water-loving plants transition quite so seamlessly into the Mediterranean-climate garden. 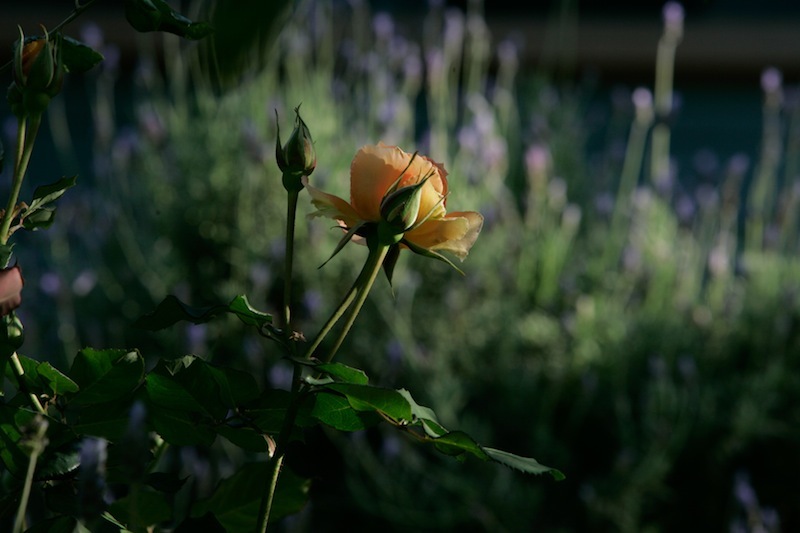 Click here to keep reading about roses in the Dry Garden in the Los Angeles Times. If you have time, please also check out Rethinking the Rose, which takes on, point by point, every supposed need of roses as promoted by fertilizer and pesticide companies.